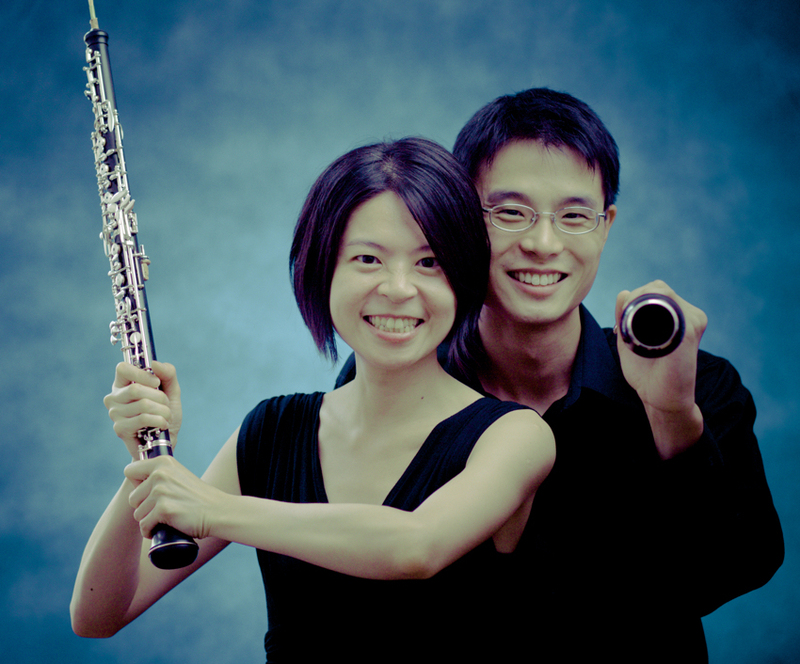 Oboe Duo Agosto was created in 2009 by Ling-Fei Kang, oboe and Charles Huang, oboe and English horn. Their aim is to promote the sound of the oboe and the instrument’s popularity through original oboe duos, arranged pieces, and newly commissioned works. Based in Connecticut, U. S. A., Oboe Duo Agosto has been performing original and arranged works in a wide spectrum of styles, from the Beatles to Vivaldi, alongside folk songs, contemporary and theatrical pieces. Audiences have enjoyed their exotic combination of oboe and English horn in music festivals and venues across the United States, in Canada, Brazil, and Asia. The Duo performed at the 2013 International Double Reed Society Conference in Redlands, California, including a world premier by David Macbride and was featured as the ensemble in residence at the Hartford Women Composer Festival in March 2014.